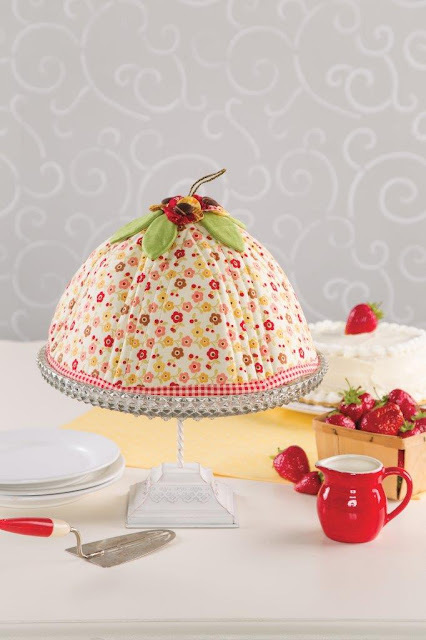 I love cake domes and have a few crocheted ones from Brazil. One sunny day I looked at them and thought I might make a quilted version, lined with laminated fabric so it would be easy to clean if it touched cake frosting. I am loving it and will make a few more with holiday themes! 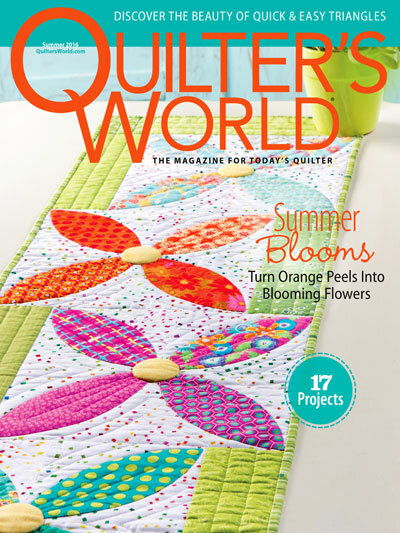 The pattern was just published in Quilter's World Magazine, Summer Edition. 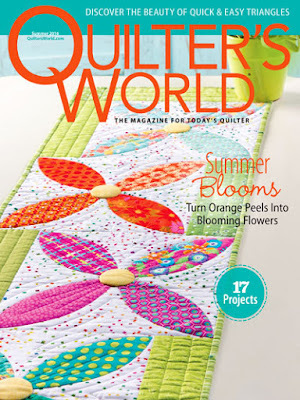 It is easy to make and uses byAnnie's Soft & Stable to keep its shape. This cake dome is perfect for summer picnics or outdoor parties as it covers cakes and other treats with style. I could not resist using these Riley Blake Designs fabrics I had been saving for a quilt because they were perfect for this project. The dome was pieced using Aurifil 50 wt and quilted with Aurifil monofilament. 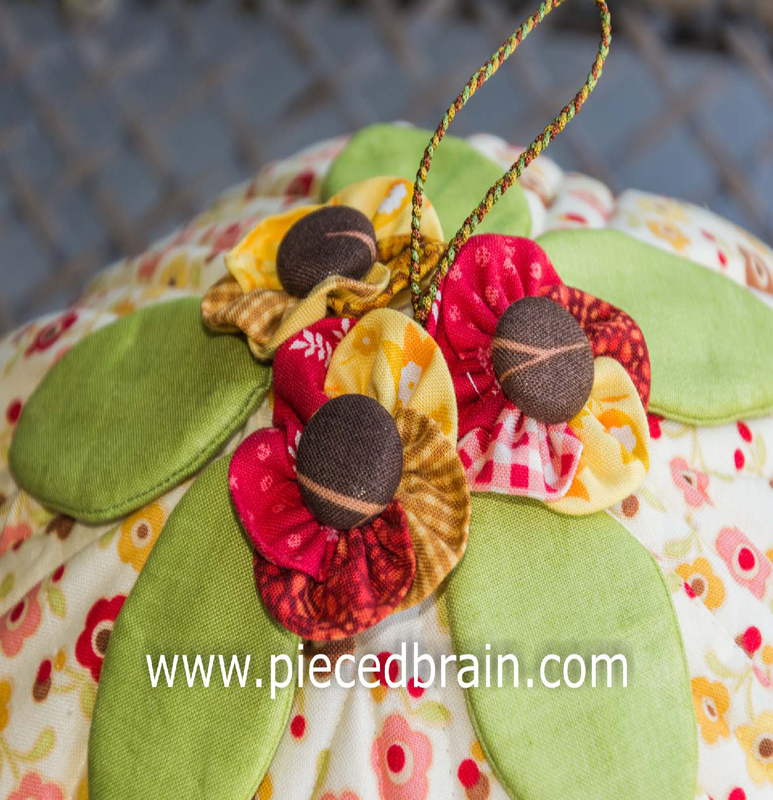 The pattern has diagrams to show you how to make these cute flowers, which can be used to adorn other beautiful creations, too. 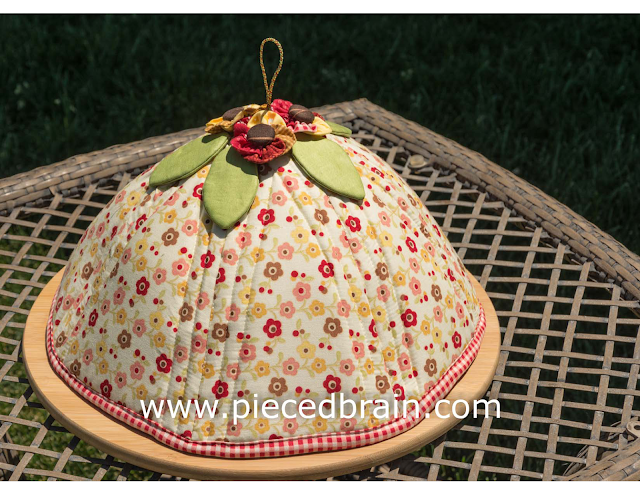 How do you like my quilted cake dome? I hope it inspires you to make something beautiful today! So cute! Great idea and very nicely done. That cake looks good enough to eat.